Hello Eventers! It's been a long long long long wait for this show to come back. Some probably had given up and just assumed that NBC did too. 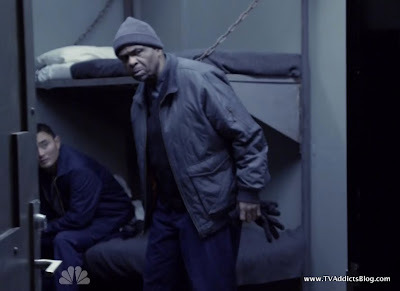 And based on not too much promotion for its return (besides the same 30 second promos that show some cataclysmic "event" over and over again which I'll refrain from spoiling in case somehow you missed it), I don't think NBC has much faith in its potential to live on beyond season 1. There is always hope for the show, though. It does happen to live on the least successful of the 4 major networks. NBC might be more willing to give The Event a long leash. And let's not forget that Charlie Sheen has made certain that no one will be tuning in to CBS at 9:00 unless they want to see reruns of the crazed "winner!" One thing you can rely on though is that I shall continue to recap for the remainder of the season! I hate to not see things through when I start them. And personally, I have to say I enjoyed its return. Everything that I seemingly complained about in the first 10 episodes, were quickly adjusted in these 2 hours. I'll go through the list as we go through the recap. Yes, I have already tweeted that some of the acting was down right laughable. And I will not take that back. 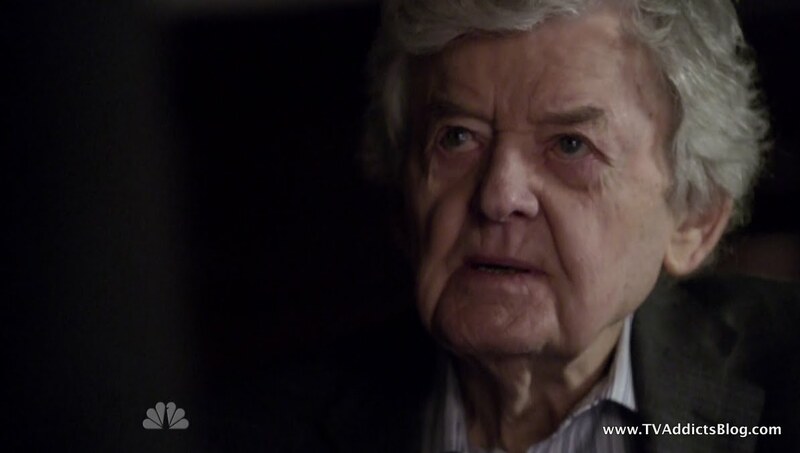 Hal Holbrook's assistant? OUCH! The Inostrankans? "YEAAAH!!!.....YEEAAAH!!! YEAAAH!!!!" But that didn't deter from enjoying the episode on a whole. Anyway, enough of my blabbing. Let's talk about the episode. Okay, since this was a 2 hour episode, there's no way I can give a play by play of everything that happened. So I'm just going to try and summarize as best as I can. The best thing about this episode was the fact that everyone who had ended up in stale storyline was quickly reshuffled into more potentially satisfying storylines. 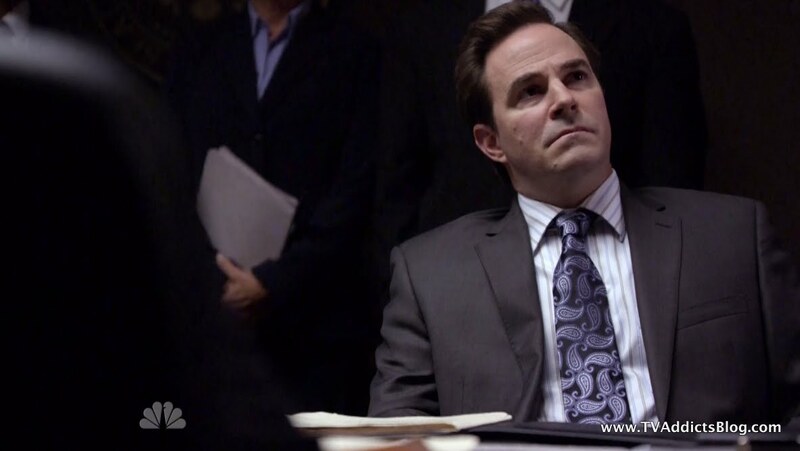 Michael Buchanan - Has been imprisoned ever since flying that plane in the pilot episode. They finally broke him out. Probably helped that we now knew he was one of the ALIENS so the ALIENS could break him out! This also led to a reunion of the Buchanan family which was a long time coming. ALIENS! They stopped beating around the bush and started calling the aliens, ALIENS! Whew. Thank you, no more guessing that they might be something else. I know I was a big culprit, but enough is enough. Yes, there may be more to their story and some other sci-fi aspects may still be involved (Dempsey kind of hinted towards some kind of Time Travel element at the end, unless that was a red herring. And we have been guessing at time travel also. But we'll guess there) Bottom line, they have talked about ANOTHER planet now in another galaxy that is an actual discovered galaxy. Sean/Leila - I think the best part of Leila and Sean was the fact that they WEREN'T together but trying to be reunited. Once they were united, their story took a turn for the worse. This was remedied in this 2 parter. 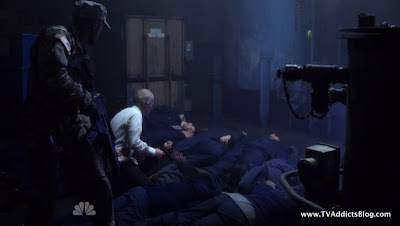 The Inostrankans - They had been imprisoned for all 10 episodes plus 66 years. There had been threats of them getting out and what would happen if they did. And then, we basically focused on Sophia and not too much on these folks. There is finally movement there. There's more, but I guess we'll get to it in the recap. 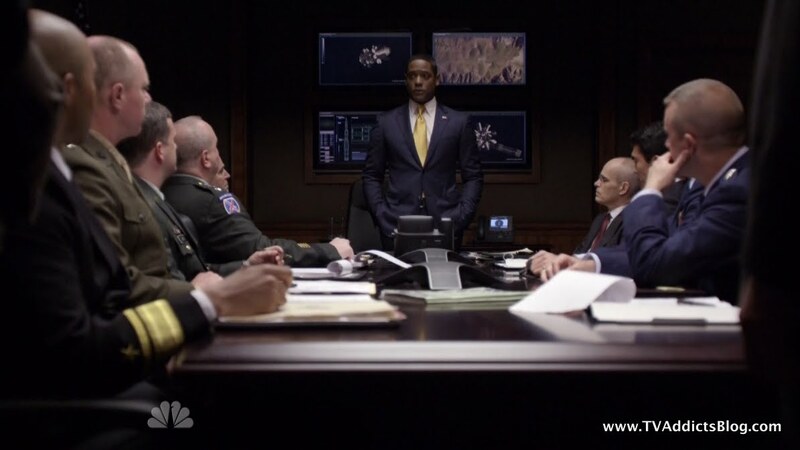 I guess they tried to spice up the Executive Branch story by opening up the conspiracy to more of Martinez's cabinet. Basically, this was an opportunity to throw MORE/NEW Cast Members at the issue. It turned into a Who's Who of recent TV shows. Oh, there's that guy who played the evil pharmacist on Desperate Housewives! There's Virginia Madsen in the most pointless sub-plot ever! ("Do you play Poker Jimmy? I do, that was called a bluff!" - Definitely paraphrased). So, I'm not really sure there's much to talk about here. 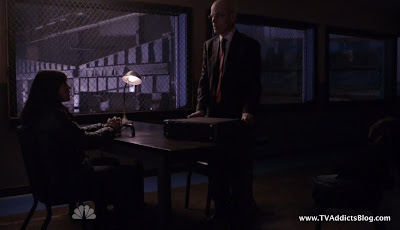 Martinez was waving his stick around, he sent Sterling to Inostranka to interrogate some detainees. And then he was pretty much putting out a fire with Senator Catherine Lewis. Count me as semi-confused when we start hearing about this Senator Bernard Lewis that died and now Catherine was filling in his seat for 90 days until Alaska selected his replacement. (Hmmm, indirect Sarah Palin shout out? Maybe) We have never seen Bernard in one minute of the show, but there's a picture of him on The Event's Wiki page. Ahh the digital age. Bottom line, Martinez wasn't going to spill any beans to Catherine. Catherine was able to sneak around and do some digging into her husband's stuff. 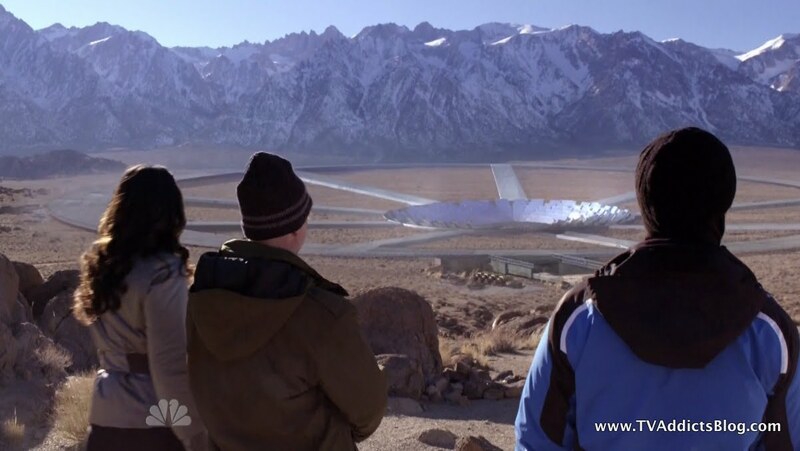 Turns out he was very familiar with the Inostranka Facility (Duh, it's in Alaska!!) So, this had her getting antsy for answers. After she tried to confront Martinez directly, he talked down to her and didn't give her the time of day. Naturally, she took her concerns to the airwaves and almost exposed a giant coverup. Martinez couldn't let this happens so agreed to tell her all about what is going on in Inostranka. That makes Catherine a viable character going forward, I assume. But in these 2 hours it was just kinda there. Oh yeah, I forgot the most important thing. They decrypted the first line of the satellite transmission to the home world. "Preparations Are Being Made for Your Arrival" The whole cabinet gets up in arms and have their differing opinions on how to treat this message. But Sterling has concern to fear the worst, which prompts his visit to Inostranka. Leila and Sean start off right where we left them, looking at pictures of Michael Buchanan throughout the years, looking the same age. Sean is quickly on the ball assuming that maybe Michael is one of THEM. (The others? naawwww The Aliens!) Leila just doesn't want to believe it, but she slowly gets on board with the idea, and then selfishly starts wondering what she is (not her sister too, just her!). But I'm getting ahead of myself. The first hour dealt with Sean and Leila still trying to find Samantha, Leila's sister. They hear a noise of the worst actress to be on network television and chase after her. It's the girl that has been babysitting these crazy old looking kids and Samantha! Sean has street cred with a gun now because he killed that guy a few episodes back. Hmmm, didn't he inject him with something not knowing what was going to happen and he rapidly aged to his death? Eh, whatever. 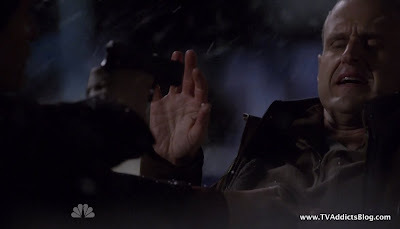 I think we all knew that Sean would never pull that trigger so it made the whole interrogation scene pretty comical on both sides. But anyway, the found out about the white van that left 10 minutes ago with all of the girls. 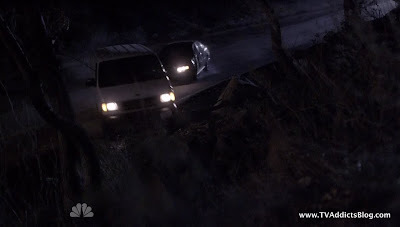 Leading to the most fantastic chase scene, starting off with "Is that the van?" "It's the right color." You just can't write stuff this corny! Oh wait...someone did! 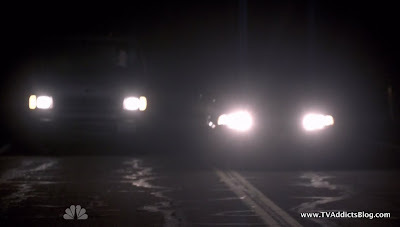 What did Sean really think was going to happen when they drive next to this guy for a good 30 seconds staring at him suspiciously with Leila (a former abductee) riding shotgun? And THEN he thought it was a good idea to get in front of the van? Just silly Sean, silly! But it led to Sean's signature Car Chase move. SLAM ON THE BRAKES! love it, he is the only guy on television that will hit his brakes to get the upper hand. It worked in Top Gun, I can't see why it wouldn't work in any action sequence! So KUDOS to Sean Walker for thinking with your feet and using your feet to hit that brake pedal! 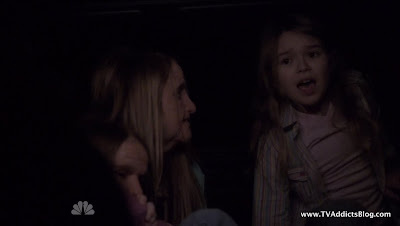 Of course, this was a risky move considering Leila's sister and a bunch of other young girls were on board. But no fear, this is television. Of course they're okay! A passerby calls 911 and Sean, Leila and Samantha flee the scene. Sophia, at all costs, needs to stop Thomas. She gets Simon to arrange for Michael Buchanan's escape from custody. Seems a little too easy for that to have happened, but I'm not complaining. They need Michael out and about. They have a little bit of an argument about the flight. Michael apologized and insisted that he didn't know she'd be there. But he would have done anything to save his daughters. Sophia was livid that he even had daughters with a human. Okay, seriously 66 years is a long time. Sophia really expected them to work non-stop on finding a way home? Granted, settling down with a family probably wasn't a good way be motivated to LEAVE Earth. It should be noted that Simon tried to interject into the argument, as he also had found love on Earth. But he quickly backed down. 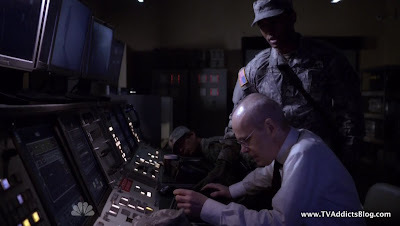 We find out that Michael was working with Thomas on the "Portal Ray?" I have replayed it 5 times now and can't understand exactly what Sophia was saying. But, I'm sure it has something to do with their advanced technology we have seen on display. Michael would deliver components to some middle man with his airline pilot day job. Sophia wants his help to track down this middle man. 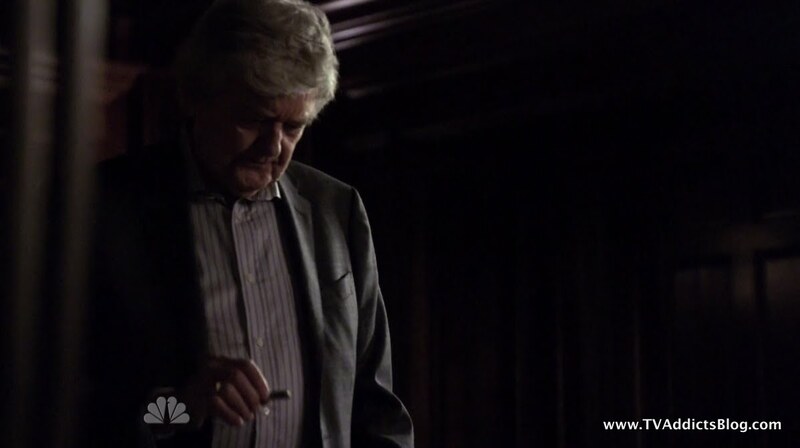 Michael flat out demands that his daughters are found and he is reunited with them before he helps. 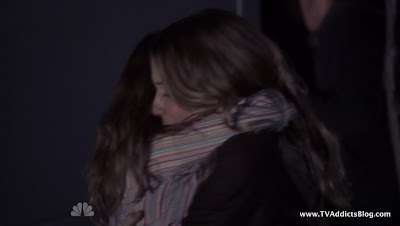 "You help me get my daughters, and I help you get your son." Sophia was not too pleased, but she does go along with it. 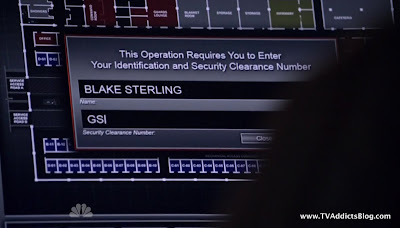 Agent Collier returns to the mix when Sean gives her a call or vice versa. Anyway, they talk about rescuing Samantha but then Collier has a message for Sean and Leila. Michael is trying to reach them. The secret clue he gives so that Sean will know it's him was that he knew Sean was going to propose to Leila on their vacation. I figured Leila would grill Sean for how he knew, but I guess she was just happy that she was going to get to question her dad. The reunion was sweet for all about 3 seconds and then Leila got right into questioning if Michael was one of them, to which he did acknowledge. Sean and Simon have a bit of a quick "Hi, I'm on this show too!" moment. Always exciting when characters meet for the first time. 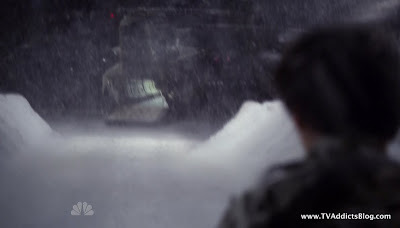 I remember when this happened in season 1 of Heroes and I thought the show was going to stay exciting after that. (I'll leave it at that) Basically, Simon thanked Sean for all he had done. 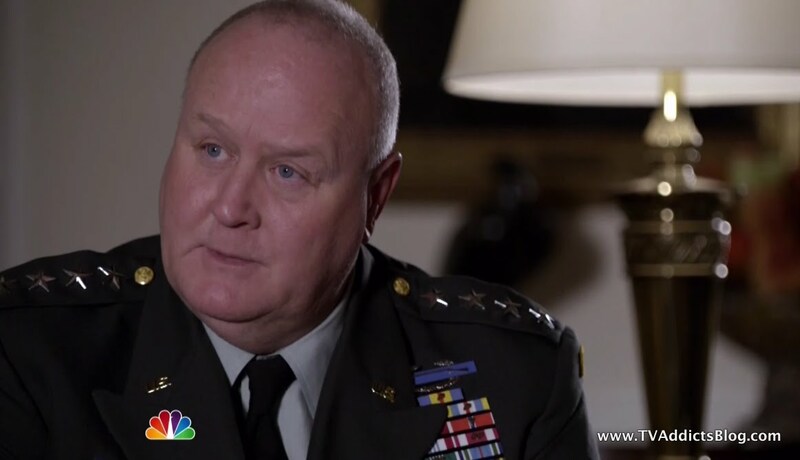 Ironically, no one mentioned the elephant in the room by asking how Dempsey was involved in all of this. It's all Thomas vs. Sophia. Well, where does Dempsey fit in? Wasn't he behind the assassination attempt? Oh that's right, the Vice President came within a millisecond of giving the name away before a car blew up! Anyway, it seems weird that this wouldn't come up. Sophia and Sean have a moment at casa Buchanan - Again, if they're in such a rush how did they have time to travel to Michael's home in Atlanta, Georgia from wherever in Missouri they were? But we won't go there. Sophia pretty much explains that there are 2 factions at work. Sophia wants to bring her people home. If Thomas wins and brings more people here, "Your World" will be destroyed. Verdict is out on if that was metaphoric. I thought, for sure, that they wanted to inhabit the planet not destroy it! Michael and Leila have their discussion too. Michael promises many answers in time, but starts off by saying that he is from a world far away from Earth. We know it as NGC 253 Galaxy. Pretty cool that they used a real location. Wikipedia doesn't get much into explaining how far away this galaxy is from Earth (at least not in layman's terms). So, let's just assume many many light years away! The other news flash is that Leila is not human. Not much of a news flash. But was he saying she was not human AT ALL? I figured their mother was human. 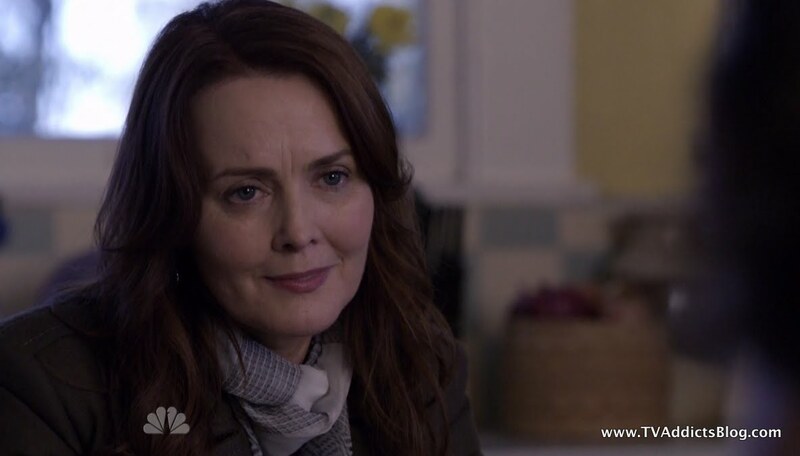 But why wouldn't Mama Buchanan have suspected Michael being strange for not aging? We find out Dempsey wanted Samantha AND Leila because they were special. The other girls were NOT special? They mentioned how Michael aged at a much slower pace which made them special. So, is Leila going to slow down her aging when she reaches a certain age? What is so special about her? Well, she only is going to find out if she ditches Sean. On Sophia's orders. Sean already knows too much and cannot know more for his own safety. Pretty flawed logic. If they were concerned about him, they'd keep him around instead of letting him loose. But whatever, it separates Sean and Leila and that's a good thing! Leila is traumatized and doesn't know how to choose between the 2 of them. But she needs to know what she is all about. Sean understands this and plays a little game with her. "Let's go to sleep and we'll figure it out in the morning!" Then some lovey dovey stuff happens. In the morning, obviously, Sean is nowhere to be found. He made the decision for her. Leila will go with Michael and get some answers. And Sean? Well something tells me there is more in store for him. We watch him walk off just like Bill Bixby did as David Banner in every episode of The Incredible Hulk TV show. The wrong song was playing though. How great would it have been if he was walking off to this? So, Thomas was kind of busy in this episode. He is putting all the pieces into place to prepare for the arrival of their people. 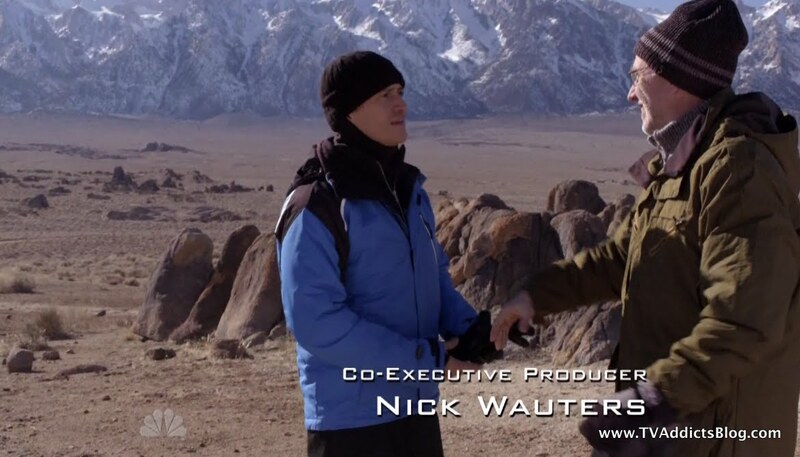 First, he meets with some guy in the Himalayan Mountains (Tibet) to audition for a North Face Commerical. I believe this guy's name is Girard. Is he the infamous "Middleman"? Well, I'm not so sure yet. Thomas came to deliver the module that he and Lady Limps-A-Lot got out of that purple goop a few episodes back. Apparently, sending the message means that Sophia knows what they're intending to use the module for. Do we know yet? I don't think we do. I think they have still been vague enough so that we don't know exactly what they're planning to do whilst inhabiting our world. And this guy talks about the RAY that Sophia talked about with Michael earlier and he is just as hard to understand as Sophia is! The portable ray? Portward Ray? Portal Ray? What on earth are they saying? Well, it's some kind of ray and definitely massive. And it's going to be used to provide a means for ALL of their people to arrive. EVERY. LAST. ONE. That would explain the fact that preparations are being made for their arrival! Basically episode 2 of the night was all about the break in and break out of the Inostranka facility. We had Sterling arrive to interrogate Maya, the prisoner that killed her boyfriend/husband/whatever in Washington D.C. when he was about to tell what The Event is. 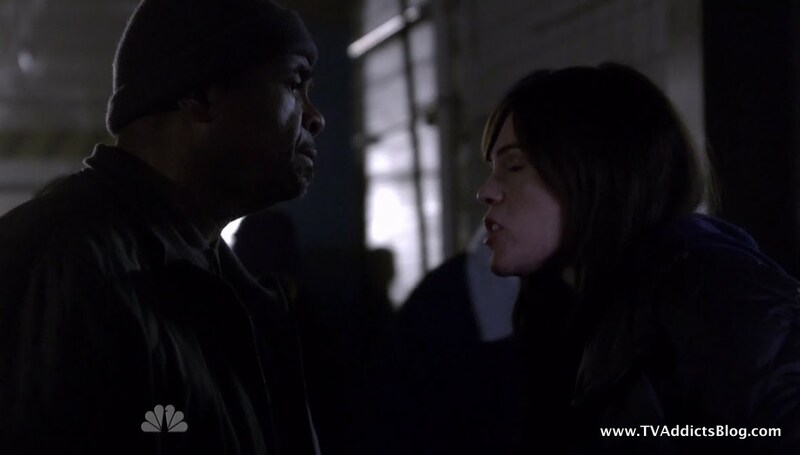 Sterling and Maya go back and forth. 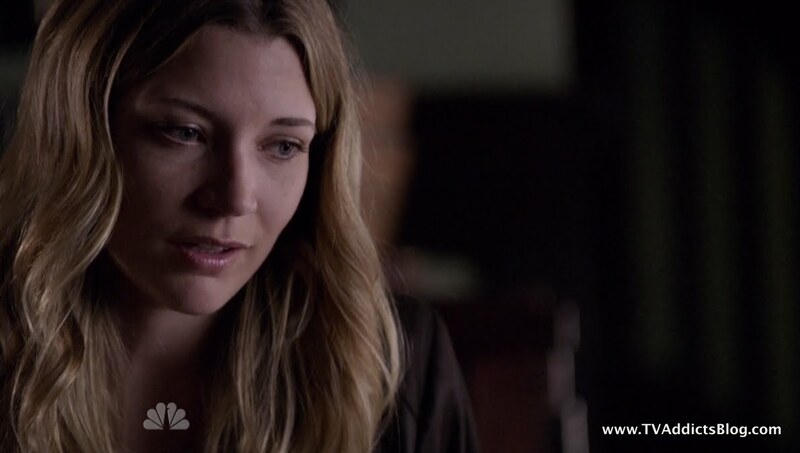 Maya is a loyal servant of Sophia and doesn't understand why Sterling would fear the worst in these detainees. Meanwhile, Lady Limps-A-Lot seduces one of the Inostranka security officers out into Thomas's gun where is he blackmailed into helping their cause. Which he does with barely any hesitation. Long story short, the prisoners are freed from their cells. I'm Random Detainee Guy, You'll see me 2 more times! Thomas finds out that Sterling is on site and wants him dealt with. 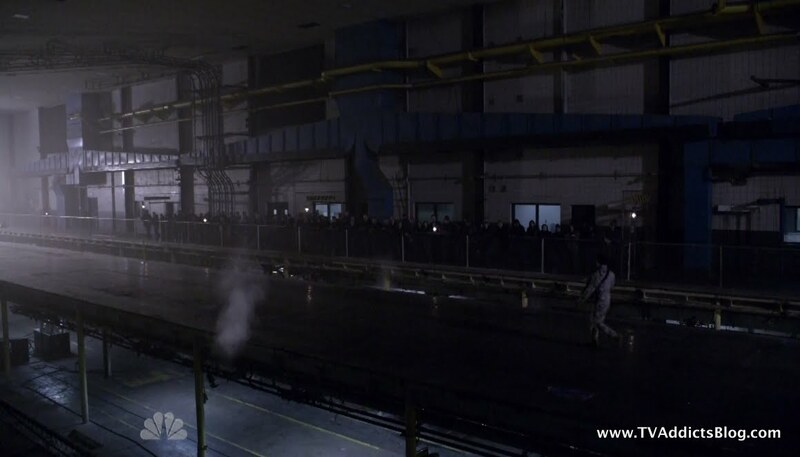 When Sterling receives word that the facility is under attack, he and the guard take matters into their own hands. Sterling is shot and "it's bad!" 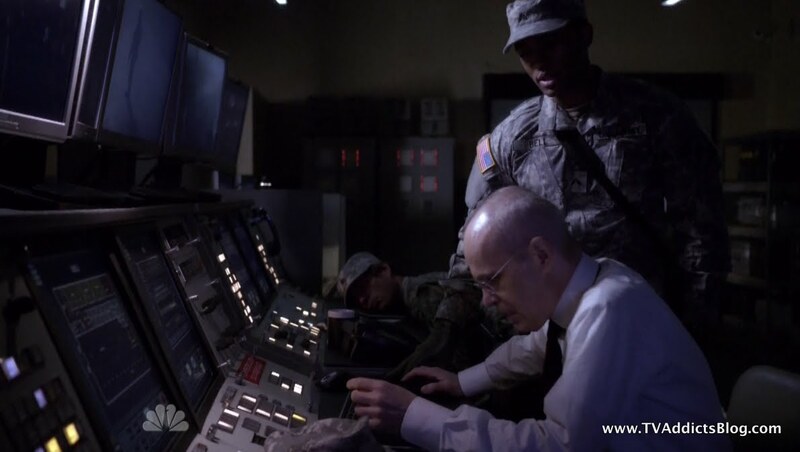 But they have their wits about them and get to the control room to initiate a HIGH OFFICER override lockdown. Thomas gives a speech to the 90-whatever detainees that it's time for a new regime. Sophia let them rot in there for 66 years and it could be another 66 years. He has a different plan. Maya is skeptical but is willing to go along with it because he doesn't trust Thomas if she doesn't go with him. Random character with 3 lines decides to stay loyal to Sophia. (And yes, he was awful with his 3 lines! It's like someone recruited George Costanza or Kramer to read "These Pretzels are making me thirsty!") Oh and the Inostrankans? I guess you can't blame the actors playing them. But how about their lackluster "YEAH!" praise after every sentence of Thomas's lackluster speech? I was laughing the whole time. I think if I was an Inostrankan I would have been laughing at him. But no...the "YEAH!!" grunts continued. "Something Semi-Inspirational but missing the big selling point!" 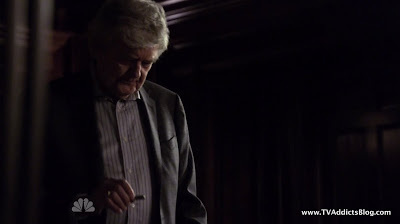 "These Pretzels are making me....."
Thomas gets annoyed when he realizes Sterling is on the move and locks them in. 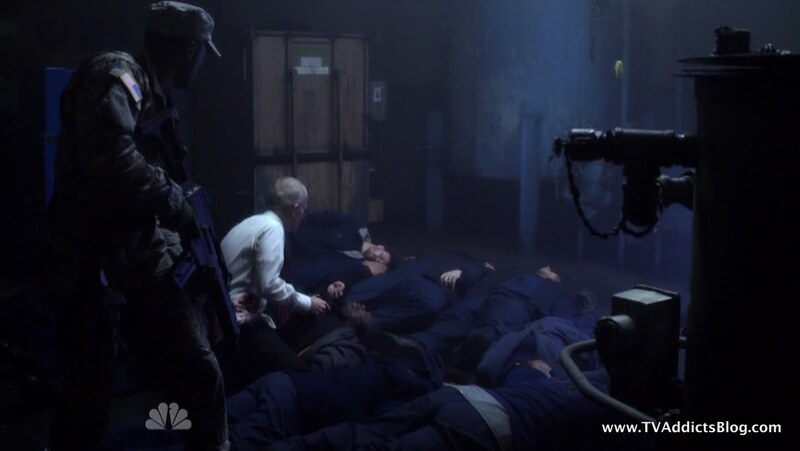 Sterling finds many of the detainees dead in a room. Yep, the ones that sided with Sophia were mass exterminated. Random Detainee guy gets his 3rd line in with such pizazz. "TH---OMAS!!!" Sterling is now a convert and believes that there are 2 warring factions of this alien race. But, it doesn't matter now as he is captured by Thomas. He is tortured into giving the override code. 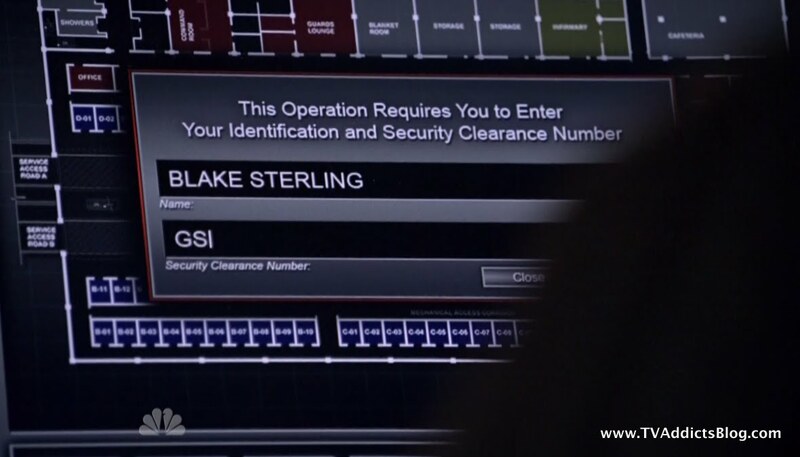 Eventually, the guard that was helping Sterling gave in and said he saw Blake enter the code. Sterling is taken on the helicopter with Thomas's army. But Maya comes on and unties his bindings. "We are not all like that!!!" A very injured Sterling runs off of the helicopter as it's preparing to leave. 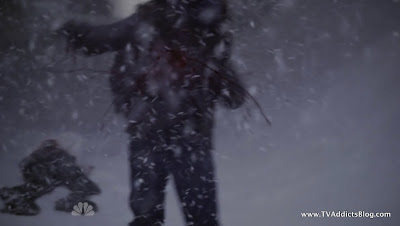 Thomas shoots him again and he falls into the snow. Anyone that was shot that many times should probably be close to his death bed. Meanwhile, Maya can't stand the site of Blake being shot like that so she runs off the helicopter to save him and gets shot ONCE. And, naturally, dies but not before saying "BELIEVE ME!!!" I know I didn't really expect Sterling to die, but it would have been a lot more powerful if he did. 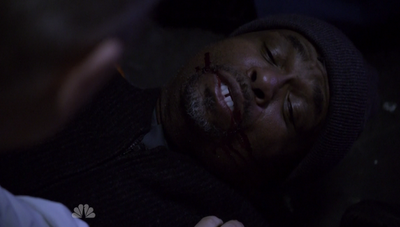 Instead, they go the easy way out by killing off the recurring guest star (who only made one brief appearance before). I may have said it before and I'll say it again. The Inostranka Detainees are the equivalent of the "SOCKS" of Oceanic Flight 815. And most of them just got Flaming Arrowed and rendered irrelevant! But they didn't die without reason. Thomas has an army willing to do his bidding and Sterling will leave Alaska knowing that there are good aliens fighting for a good cause. Alliances will be formed, lives will be lost, lines will be acted poorly! It's gonna be a good time! Dempsey: You know, when you get to be as old as I am, the line between the past, present and future begin to blur. Woman: Excuse me sir my acting is bad but I need you to explain better. 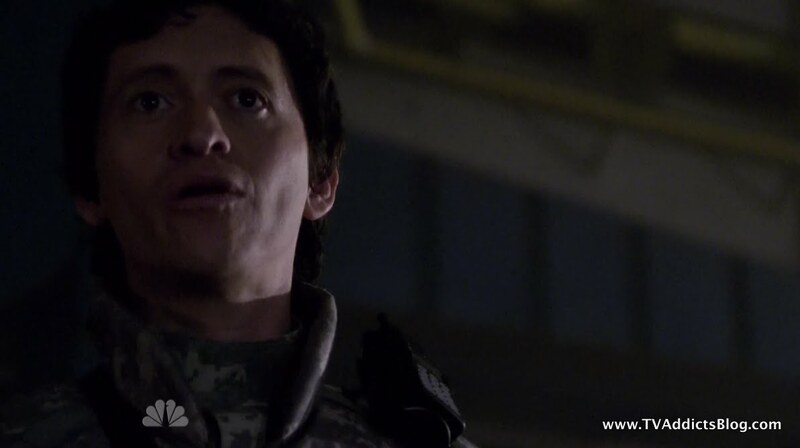 Dempsey: Oh forgive me, I wouldn't expect you to understand (or even react better to my awesome line of dialogue!). This Mr. Walker and I will cross paths again. SOON. Hmmmm, what on earth did THAT all mean? What on earth is that ancient rock he is meddling with? Did he say they will cross paths AGAIN? Does that mean they have LITERALLY crossed paths or just kind of a Scooby Doo thing where it's OLD MAN DEMPSEY! "And I would have gotten away with it too, if it wasn't for you snoopin kids!"??? Did anyone else feel a bit of a time travel vibe from his comment about the line between past, present and future blurring? 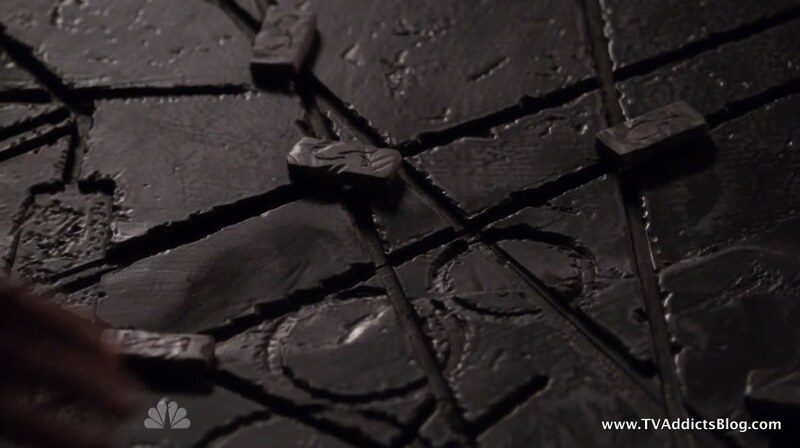 And that stone having all of those intersecting lines and stuff? Combine that with all his experimentations on aging and youth and whatnot, and it's definitely an interesting subplot to the whole alien takeover. I just want to see them more connected. Why isn't Sophie concerned about Dempsey or even mention him? Why hasn't Thomas mentioned him? Are they not concerned about this external threat? Is he playing for one side or the other already? Time will tell, and hopefully season 1 will tell. Tuesday's report on ratings will say a lot to how long this tale has left to tell its story. But, I'm definitely interested to see where they are going! And that's about all I have for now. Sorry, if I offended anyone by getting my jabs in at the show in the process of recapping. It's what I do. I can't help it! Even LOST had Walt! I call them as I see them. Feels good to be doing some more recapping. Be sure to check out my End Credits to see what else I'm writing about and what I'm looking forward to that is coming up! Don't forget to check out The TV EVENT for my recap as well as additional discussions. Hope you enjoyed my ramblings and I'll see you next week! Fringe has been consistently awesome in its 3rd season and I highly urge EVERYONE to start watching the show. Normally, I'd suggest you catch up first, but this is a critical situation. Fringe needs as many eyeballs as possible to keep it ticking. It really is a sad state when a show is THIS good and there aren't many people watching. But the people that ARE watching have a loud voice and are staying strong with it's new Friday 9pm Eastern Time slot. I have been recapping and having a great time doing so. Check it out! I'll definitely be there when The Walking Dead returns, but that's most likely in the fall! AMC has been reairing the show though so if you ever catch it, you can find my recaps at the link. DVD/Blu comes out in March as well. Shows I'm watching right now (and might comment on time permitting): Episodes, Shameless (both Showtime), Chuck, How I Met Your Mother, V, Modern Family, Cougar Town, Big Bang Theory, The Office, Community, 30 Rock, Smallville and others that I won't mention out of embarrassment! Upcoming shows I'm looking forward to: Game of Thrones (HBO), Terra Nova (FOX - Pilot airs in May but show begins in fall), Breaking Bad (AMC), Several JJ Abrams shows launching in the fall (Alcatraz with Jorge Garcia, Odd Jobs with Michael Emerson and Terry O'Quinn to name a couple) It looks like Odd Jobs may get put on hold indefinitely now that Michael Emerson has signed up for a JJ Abrams pilot on CBS: Person of Interest Naturally, I'll have to check that out too. I know it's sometimes looked at as a blemish on my beautiful blogging record, but I am still watching American Idol. I did skip recaps of the audition episodes and Hollywood rounds. But I'm somewhat coming out of retirement to discuss the live shows. Check it out! 1.One of the biggest additions to the quality of the show, was the removal of too much bad CGI. 2.Portal Ray--to transport from NGC 253. 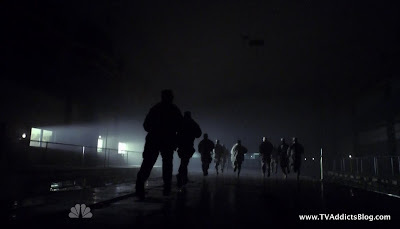 3.Analyzing elements of a show like this can be risky, since there seems to be very limited logic. But I think Dempsey predates Sophia's group. He certainly knows about the alien's characteristics and seems to be able to use them to his advantage. Not sure if he's an alien--if so, his aging will need to be addressed(I hope). 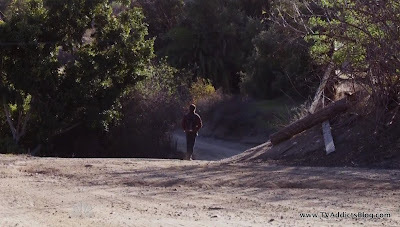 4.When Sean walked away I was wondering if it had something to do with his conversation with Sophia. We never saw the end of it and she was very open with him, unlike other times she spoke with humans. Makes me wonder if he knows that Sophia doesn't think Leila should even exist. 5.Yea, the new red dress senator was a bit much for a show that already feels like it has too many confused(vs confusing) story lines. In other words, these writers are having a hard time with this show already, why make it worse. I'm sure she'll be key at some point--lol. Kind of funny how they point out unemployment issues in Alaska while in reality it's got one of the best state economies. 6. The Sterling deal, being shot and tortured on the wound, then shot again, was truly laughable. 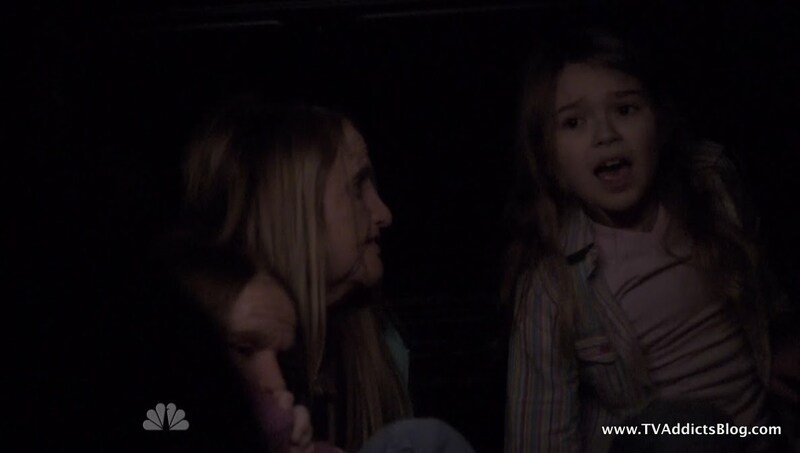 When Maya ran it was like--key the "shot in the back death scene" coming. Even great actors would have a hard time with this show. For an escape attempt it would have made more sense having them jump out of a moving helicopter or something--lol. 7. Leila and Sean are obviously not done, she may even be preggers now. Thanks for the response Richard. Here are my comments to you! 2.) Are you saying you think that they said "Portal Ray" because I wasn't sure? I did know it was supposed to be a transport from their home planet. It just sounded like there was another syllable in "Portal Ray" WEIRD! 3.) Hmmm....that's interesting. I'll add to your idea. Dempsey could be a really really really really really really really OLD Alien! lol Didn't think about that. They have said several times that they age much more slowly but not that they don't age AT ALL. 6.) Yeah, the whole helicopter escape/shooting was rough. I already knew what was going to happen before it played out. Painful but funny to discuss! Mike, we are talking "aliens" here(they're always impregnating some human)--LOL!!! 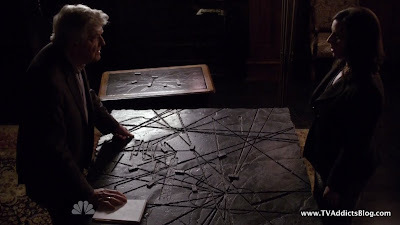 The stone tablet that Dempsey was using where he had markers representing people/aliens? seems like it was representing the big story of people's lives. As he moved Sean's it made me wonder if he was playing like a God, choosing Sean's path?? Yeah, it seemed very VUDU DOLL'ish, but I'm thinking it's more of him mapping out some kind of plan for Sean. But you could be totally right. Who knows what that thing is all about? So true about aliens and their impregnating humans! V handling lizard/human hybrids is plenty for me! lol Interdimentional breeding is covered on TV too! This may be stretching, but when I saw the stone table I thought of the lighthouse from LOST. Now all they have to do is work in Sheen with a machete.--LOL Do you think he'd be an alien or human?? Well I thought the 2 hour ep was great. Lots more action and movement. Didn't mind the addition of the new senator either - but maybe because I'm a fan of Madsen. I actually felt it lead to more realism as in this a secret of this magnitude could not be kept that secret for so long. 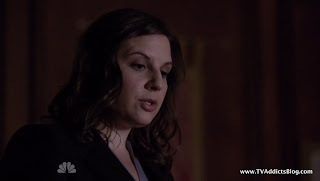 As for the doctor/physician asst that they catch with all the shots - guess I didn't notice her acting being all that bad as all of you are commenting on. I mean, she really didn't have much to go with and really she was just a person to move the story forward. MJ - As I've said, just because I'm taking some jabs at the show doesn't mean I didn't enjoy it! I really did enjoy it! But come on, some of the stuff in the show is just comical, and it begs to be commented on. Which is what I did :-) No, that woman in the scheme of things probably wasnt' too noticeable. But my wife and I noticed and just started laughing at her delivery of the lines. And I couldn't stop laughing during the big Pep Talk to the Inostrankans. OK Mike, since you are a Virginia Madsen fan, you have another reason to watch the original Dune. Since she is in it, although not a lot of screen time. Frankly, I'm wondering if they added her character to get some actors on the show with a little more following? Have we actually seen any of these charaters interact with Dempsey ? Or talk about him? I can't remember. It almost feels like they are ignorant of his existence. I did feel a time travel vibe - but I also feel like they are ripping off V. Aliens are coming and we will take over your planet ! And there are a small group plucky rebels who will fight back. Wow - the ratings for Event have them even after a HIMYM repeat. Not surprised - we all knew the would not have strong ratings. @MJ - It could be Portal Array! Well, I didn't mean "literally" talk about Dempsey, but obviously his organization was very involved in the assasination attempt and forcing Michael to fly the plane that day. They kidnapped the Buchanan girls. I just don't know why Sophia wouldn't bring any of this up to get to the bottom of any of it. Interesting on the online clues. I guess I'm not invested enough to be dissecting every scene for clues like another show we like/liked :-) But yeah, I rarely get involved in the "ONLINE EXPANDED EXPERIENCE" stuff for these shows. Ouch, i looked it up..down 26%? Awful! After the above comments I don't feel so dumb in thinking that Dempsey hasn't worked with the aliens. I wonder how he's going to do without those shots? Down 26%. Wow, but I'm not surprised because without the Fringe blog, I wouldn't have known it was going to be on. I think this is the only NBC show I watch other than football. And the "season" ender last December had the fans watching so they could know about it. How many more eps are produced? Could be the last ones? Portal array works, and the center dish in Tibet could easily be for a ray as well. ie, one leading to the other? Basically they're trying to open a portal to get the aliens Earthside. With the escape from AK, it will be interesting to know what the Prez tells Senator Red Dress. Maybe in the next day or so he can dig up some dirt on her. AuStarWars has a good theory on Dempsey, but I'll let him comment on it as to not steal his idea! 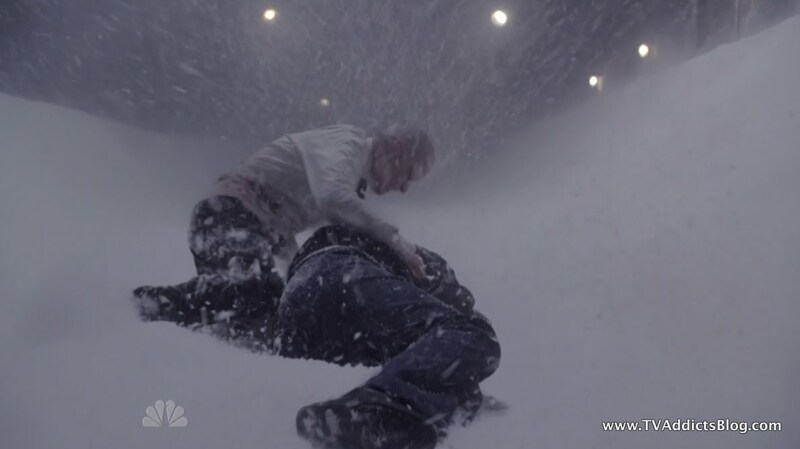 The "cliffhanger" in November was the "fall finale" not the season finale. There are a total of 22 episodes ordered and we have seen 12 now. The only thing The Event really has going for it is that it is on the #4 network so NBC may let it live on. (Doubtful though) Nick Wauters has said previously though that they will be able to wrap up the show and give it conclusion if they know renewal is not an option. We'll see! 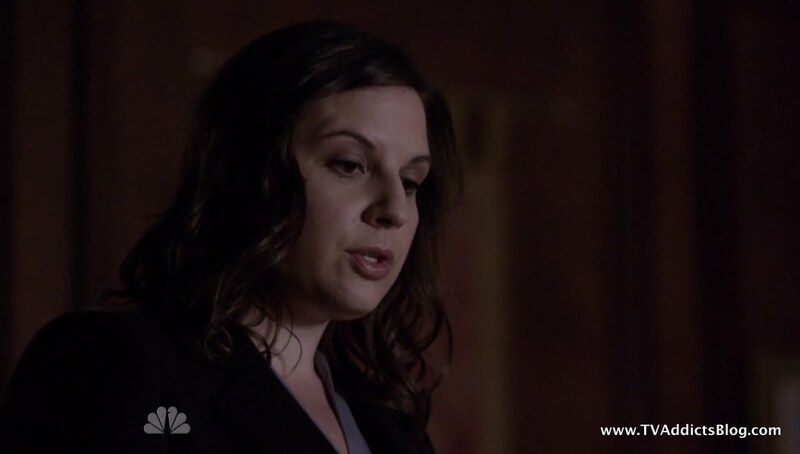 I think Martinez has essentially agreed to bring Senator Catherine Whatsherface into the Circle of Trust. Just my opinion though! I heard "portal array". Portal ray doesn't make sense. 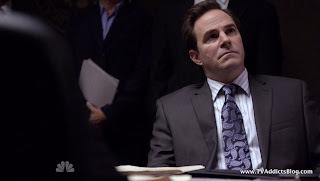 The guard helping Sterling at Inostranka was the same actor that committed suicide by jumping of the DWP building (that's what it actually is in LA) in Fast Forward. The house where Sophia, Sean, and the rest were staying was not the Buchanan's house, which is a contemporary style. This house was sort of a Craftsman style, and in fact I recognized it as one of the houses they used in The Sarah Conner chronicles. Sorry to hear about the poor ratings. Probably most people just gave up last December. My only complaint was Sophia..like I dont see how im ever supposed to be sympathetic to her cause..
where was the Megan Fox girl?! I still think the "aliens" are ancient mans interpretations of Angels and I have another theory on Dempsey..I believe he is like an ancient Egyptian pharaoh or something like that, who was around when the "aliens" came the first time (like in Biblical times) and got some of their slow aging that time, and was waiting for them to return to perfect the process on his own WITHOUT having to rely on them for their powers..its pretty close to what the Smoking Man wanted to do in X-Files by perfecting his own Alien/Human Hybrids without having to wait for the Aliens to do it for him (ie. prevent colonization)..
AHHHHHH I knew I recognized that guard and I couldn't place it. Thank you for clearing that up! I almost miss FlashForward but not too much! I think we all knew, including NBC, that putting the show on hiatus for 3 months was going to be a death sentence. So, I guess we'll just see if it improves. The one silver lining that I keep hearing is that NO ONE knew the show was coming back on. Everyone wrote me and said they saw their DVR recording it. So maybe some people just haven't watched it yet and next week will get a ratings bump. But truth be told...the show just isn't THAT good where the ratings are going to improve. I find it entertaining but it's not THAT good. @AUSW - Watchable is a good description of it! I don't expect any earth shattering revelations to come our way before the end, but I could be wrong! Hell, I hope I'm wrong. I can relate to not sympathizing with Sophia. Maybe we need some kind of crazy flashback to see what she has been through. As I mentioned also in the emails, I still don't like using the term "Angels" for what you describe them as. When I brought up angels before it was about THE EVENT referring to the END OF DAYS and the EBEs were fallen angels or what not. But that's just me. I do really like your Dempsey theory though! I think the tablet is very old and could go back to the beginnings of life or something(Egyptian?). 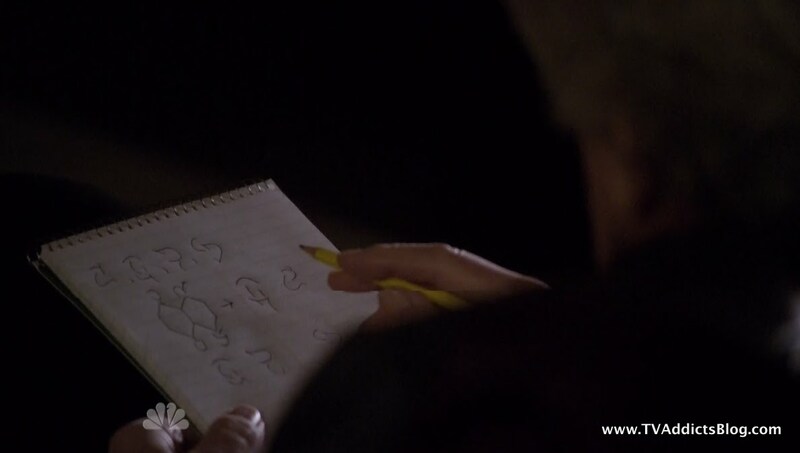 I wonder if we had several good screen shots if we could find some clues from the tablet and markers? For example we could better determine if the markings we saw included Egyptian hieroglyphics. Richard - The tablet certainly looks old and there definitely are kind of markings on it and the markers. But it doesn't look like anything I've seen before. Perhaps it's "ALIEN"....as AUSTARWARS suggested, maybe it's from a previous 'visit' from these EBEs. Or hey, perhaps they were here before us? Lots of possibilities. But I'm just throwing out guesses! Sorry I am so late at posting. With all the Mardi Gras events going on the last two weeks, haven't had much time for TV! I did see one promo for the show, totally forgot it was coming on, and I too, happened to catch my DVR recording it. Great recap, as usual, and I don't know that I have much to add. 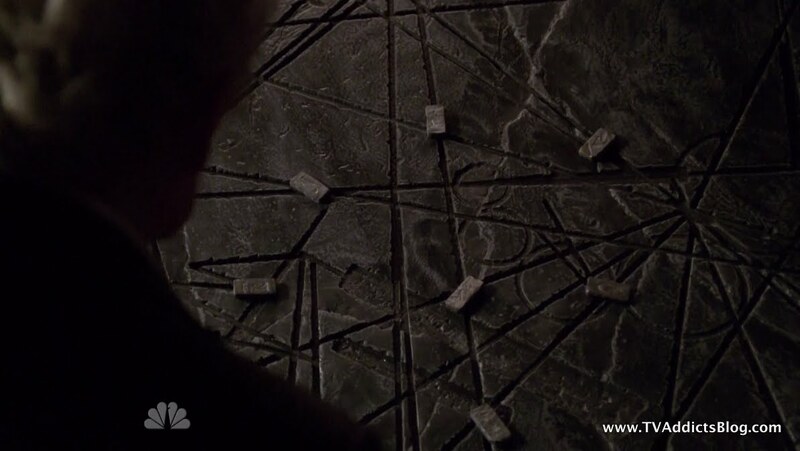 The stone tablet reminded me more of The Lampost from LOST, that swinging pendelum eventually causing all of the lines to intersect to create a major event -- the location of the island. Maybe all of the lines on the stone tablet are supposed to intersect at some as yet undetermined point in time. I definitely think Dempsey is an alien from an earlier transport of aliens to Earth. How else would the aliens that came 66 years ago know so much about our planet? I always thought from the original time the landed that some of them had been here before. I did notice that the guard protecting Blake was the guy from FF. 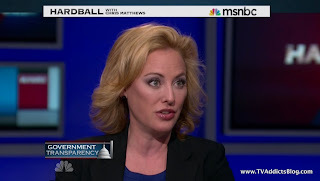 And I like the addition of Virginia Madsen - I don't think they would bring in such a high profile actress without a long term plan for her role (as we assumed with Hal Holbrook when we first saw him). I thought it was hysterical that all the time Blake was getting beat in the face, his glasses never came off! I loved the guy sticking his hand into that back wound -- OUCH! I'm still waiting to find out if a) the President's wife is an alien; b) if they will kill off Leila who I STILL believe is the worst actress on the show "DUH....Gee Daddy, if you are an alien does that mean I am an alien?" and c) why little sister wasn't aging like the other girls being held by Dempsey. Anyway, I'm still interested in the show, if only to participate in this blog and get a few laughs out of it! I thought that Sophia and crew crashed on Earth by accident?? Or maybe they were there intentionally but didn't intend to have their vehicle destroyed. But yeah, totally makes sense that there are aliens that have been here before. And it would be a great way to tie Dempsey in. I like both theories...that and AUSW's theory that he is human but interacted with previous aliens and extended his life. I think they started to address why the little sister isn't aging. she is "SPECIAL"....and LEILA is special. What do we know about Leila and Samantha? they're daughters of an Alien father. The other girls probably are not. The show is fun to discuss for the silliness of it all, I agree. But even with a lot of the cheesiness going on, there still is a good plot in there somewhere, which I like discussing too! Thanks for sticking around Cajun! My position on Dempsey is not yet certain other than what I said earlier. That he is very old. Also, he seems to need that serum and that's why he's been working on making some. Mike, I agree with you, the markings don't look like those I've seen before. Making me wonder if they're alien. But if he can move a persons marker on that board and have an effect on their future--that's powerful. It's also interesting that Sean deserves to have a marker while there were so few on the board. What's so special about him? I wonder why Leila didn't follow up by asking her father if her mother was human or alien. It seems more likely that she was human, and if so, that would make her and Samantha only half alien. Seems sad that neither she, Samantha or Mr. Buchanan even mention her or even remember her existence. If Leila is half alien, it would seem to complicate her decision on where she should end up. Also, the stone tablet with the intersecting lines was significant to me because I had seen seen The Adjustment Bureau the night before, where the adjusters have a book of intersecting lines showing outcomes of various branches of a decision tree. Another thought I had was that it's possible that Dempsey, at some time in the past, discovered M. Buchanan was not aging normally, but didn't know he was an alien. 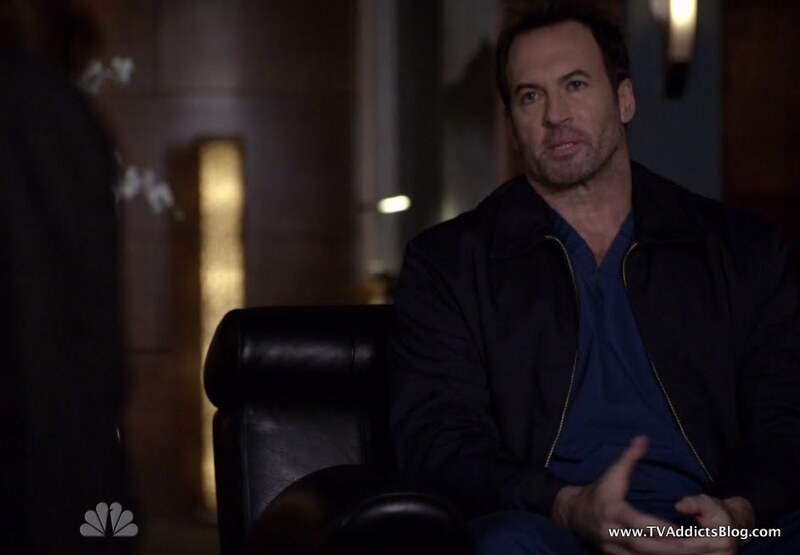 Dempsey, perhaps, had been doing ongoing research to prolong his own life, and decided to capture Leila and Sam to do research on them. Maybe Dempsey arranged for the assassination attempt to avoid the rest of the world learning about the existence of this long-lived race. 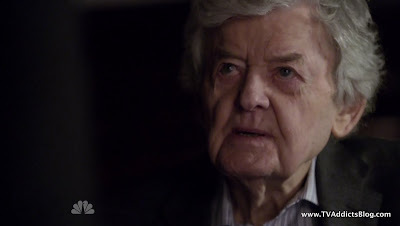 @Richard, yes, but is the syrum making him appear old? Or did the syrum work to make him look young for a brief few seconds? Perhaps he is trying to recreate whatever "gift" was provided from the supposed "original" EBEs in order to regain his long lasting youth? All good questions with the tablet...I have no idea! But we also don't know if him moving anything on that tablet actually causes things to happen or if it's just a crazy "MAP" of sorts to keep track of his plan. I think for now we have to assume that Mrs. Buchanan WAS human. Afterall, when Dempsey's crew came to the house they took everyone hostage EXCEPT her. They killed her instead. I have not seen the Adjustment Bureau yet so don't spoil it! :-) (hopefully, this wknd) But without having seen that, the first thing I definitely thought of was intersecting timelines of sort. Of course, it halped that Dempsey was talking about not being clear on his past, present and future. Definitely makes sense that Dempsey wanted to keep the reveal of these ALIENS under wraps which initiated the assasination attempt. And wanting to extend his life makes sense too....either if it's for the first time or to get "BACK" what he already had (what I mentioned above). Definitely some good meaty story potential here. Very true about Michael B. What it means is that he is probably the key to tying all the different factions together into one meaningful story! And I just would have hoped that THAT would begin when he was reunited with Sean, Leila, Sophia, Simon etc... But I guess we'll get to that. Have any of the aliens had kids since being on Earth? Maybe they can't? Maybe that's something else that makes Leila and her sister special. As for Fringe though, everything seems to be pointing towards this show being safe, which I had already assumed but it's nice to hear! Oooh excited. This week's EW will feature LOST on the cover for a "LIFE AFTER LOST" story. I love that EW can't let go either! LOST Family, good to hear you loved the end of LOST! I'm sorry to hear this is your replacement as it's not looking like it's going to stick around. But yeah, definitely check out Fringe. It takes some time for the show to find it's groove (aka all of season 1) but it's totally worth it for where it has come. Plus, the season 1 episodes aren't awful. They just aren't as great as now. Great recap as always!! 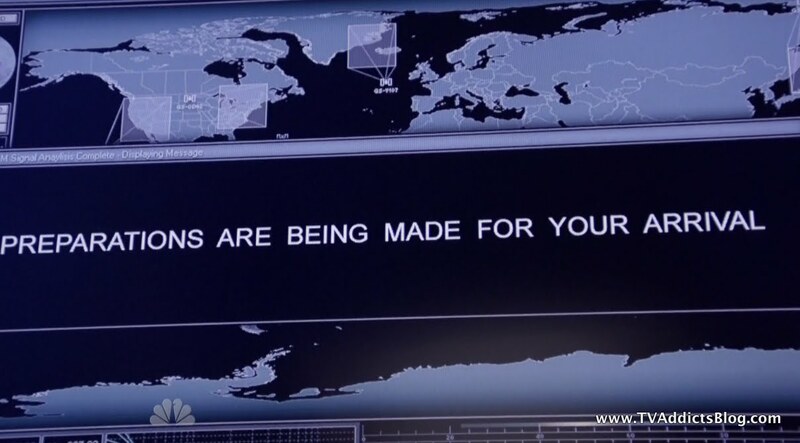 My favorite part of the recap was the video you inserted on the ending of "The Hulk". That always made me so sad when I watched it as a kid and kind of pulled at my heart strings again when I watched it again just now. Can't say I didn't enjoy the return of The Event, but as always I hated the Leila and Sean storyline. Have you noticed that they put Leila's face on advertising to announce the show? (maybe it's just a Hulu.com thing). GAG ME, she's not even pretty and her acting makes her even less attractive. I hope she gets stuck in the portal if she attempts to leave and we'd be rid of her for good!!!! Anyway, thanks for letting me vent again. Too bad about the ratings of the show. Overall, I think the show had potential, but too many bad actors, bad lines, and badly delivered lines to give it a real chance. I just think they should have consulted LOST writers for storylines and plots. LOL. I watch programs through HULU and can't bring myself to change the LOST episodes that load everytime I log into HULU. Keep up the recaps. I'm not sure you'll have many more to go. Thanks Char! Glad someone appreciated my Hulk reference! I felt like tonight's ep was going to have another one. I think they have plenty of capable actors on the show...sometimes the material and the actors just don't connect. But yeah, the Leila/Sean story got stale quickly. But that was because once they put them together, they had nothing for them to do! Anyway, I like the approach they have taken with these new eps. I'm just not sure it will be enough. Anyway, off to recap the new ep!